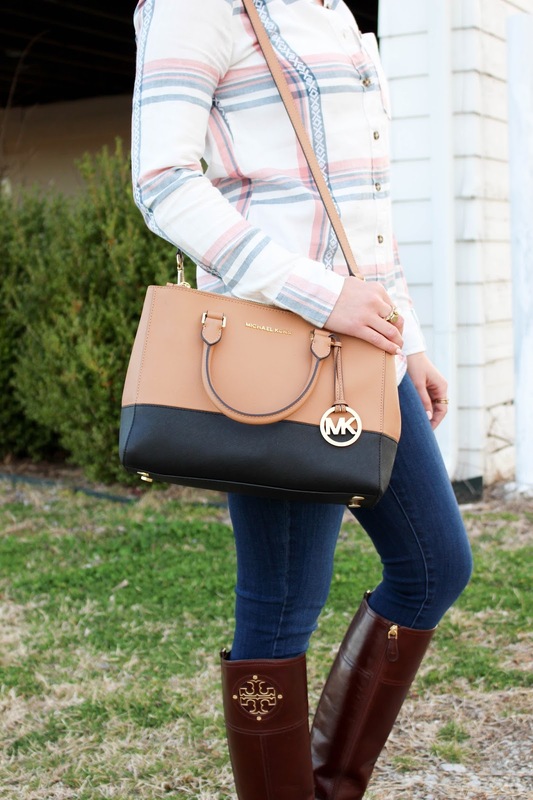 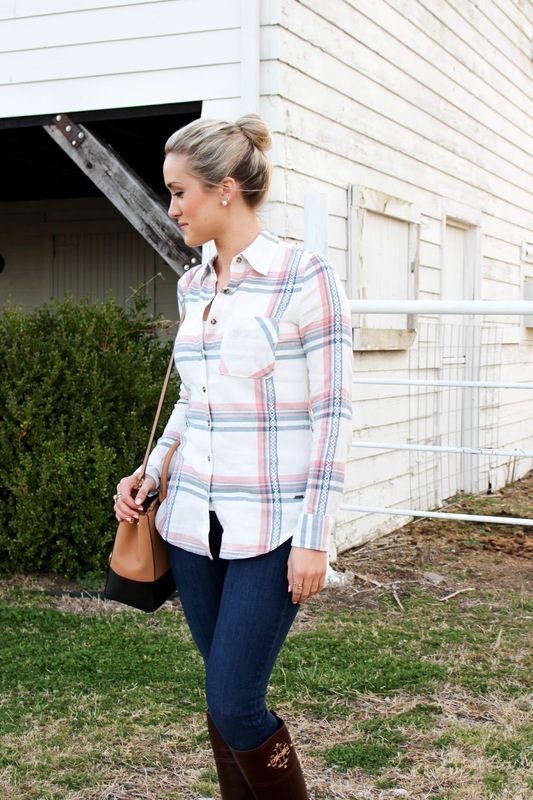 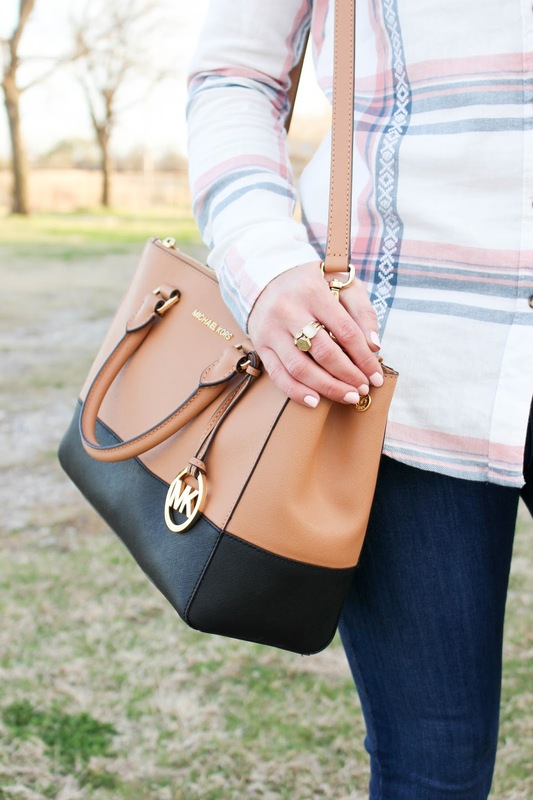 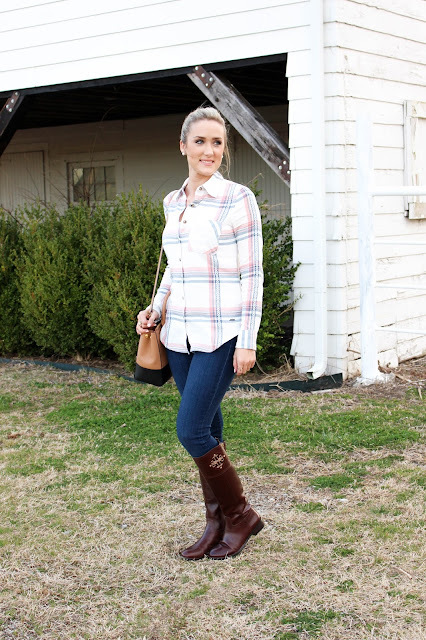 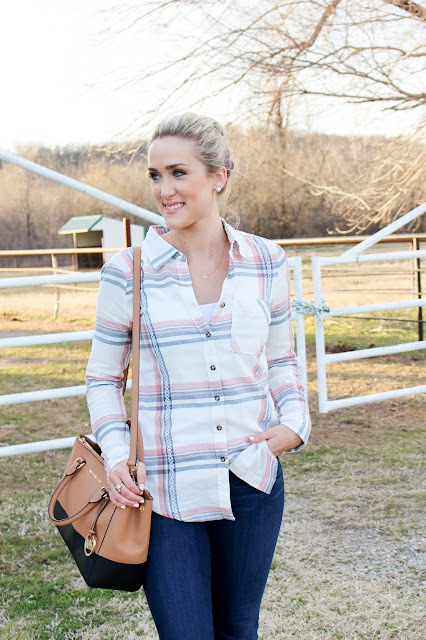 I am loving light colored plaid tops lately! When I saw this one at Marshall's I knew I had to have it! This exact top that I am wearing is not available online but I linked some similar ones! 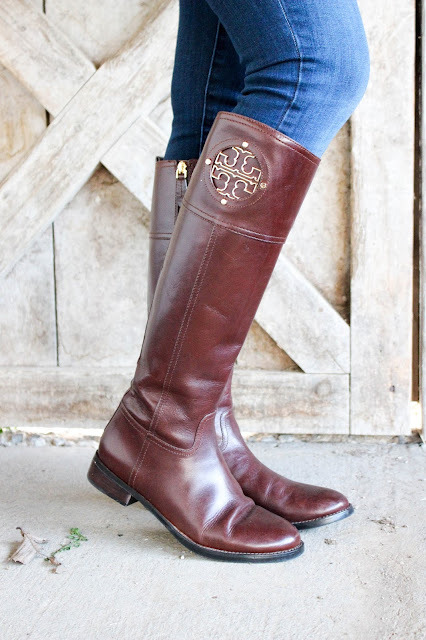 These boots will forever be my faves, by the way.